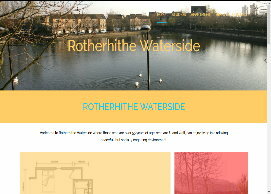 Website Design, Construction, Hosting, Support and Optimisation. Your website designed, built, hosted and supported for you by us. Get your business seen on the web so your customers and potential customers can find out about your products and services and do (MORE!) business with you. Contact us today! Satisfaction Guaranteed. Gone are the days when a company website was a nice to have. To do business in the world today you need a website. More importantly you need a website that is going to work for you. At Design My Site we work with you to acheive that objective. 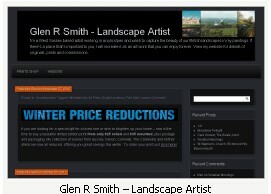 This client uses the site to show his paintings. He is not interested in analytics as he sends all his visitors personally. 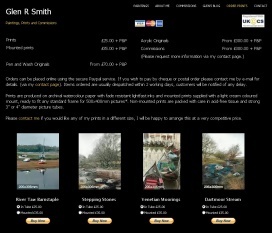 Visitors can purchase prints and pay using Paypal. Paypal now processes Credit and Debit Cards for those without a Paypal account. The home page for this site is a Wordpress blog with the regular html website linked to from it. The main site containing a page to purchase from. The site has been desiged to be responsive which Google prefers. The client experienced a larger than normal email and call rate very shortly after the site was released. 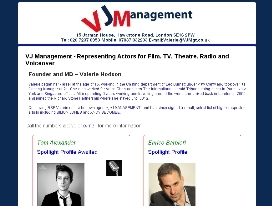 This client uses the site to showcase actors and actresses. Each entry has th ability to audio and embeded You Tube video as well as a link to Spotlight. 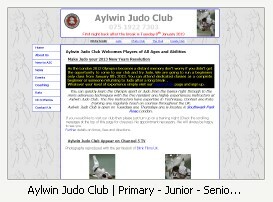 This site serves as a reference for coaches, members of the club and new members. Two successfull campaigns around London 2012 and the New Year have seen membership increases at the club. Redefining the focus at the Fitness Centre for the gym and classes without losing sight of their strong martial arts history. Monthly contact rate acheived within a week. The site is responsive which Google prefers. This client is an old school association. 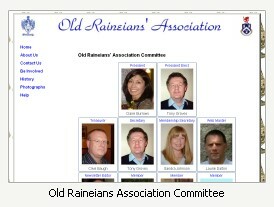 This page shows the committee but the site uses a variety of techniques on different pages. Including a shopping cart which uses Paypal to take payments. ...friendly, personable and patient, the work on my website has been extremely professional from initial contact through to the finished product. All round knowledge of web design, coding and hosting is excellent. It has been a pleasure to be able to have Design My Site work on my site and I would recommend them with every confidence. We will work with you to build a web site that works for you and your business. We will discuss your requirements and options and agree a plan of action and implement it. ...detailed and extensive knowledge in managing both small and large technical projects and able to adapt well to varying customer requirements. At design my site we will work with you to design your website, construct your website, host your website, support your website and take care of the day to day running of your website. We will conduct Search Engine Optimisation to ensure maximum visibility as relevant searches get directed to your website. Get ahead of the competition and stay ahead! 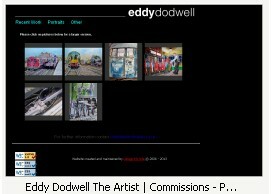 ...Design My Site are both capable and enjoyable to work with. Very skilled in analysing complex business problems and presenting well thought-out solutions, often with an insight that many others have missed. Perhaps you already have a website but want a more professional level of service. Contact us and let us take care of your website. If you get a problem you contact us and we fix it! Now you can concentrate on your business and moving it forward knowing that your site is working for you. More and more people are turning to the internet to find products, services and information. The Guarantee does not include domain names or other products and service purchased on behalf of the client. Nothing written on this site, or implied, constitutes a contract.